While not the thinnest ultrabook around, it is certainly one of the lightest, offering excellent portability and one of the most generous array of ports and optional extras we have seen on a device. It's built from the ground up to be a business companion, and it lives up to that beautifully. Only a mediocre screen keeps it back from true greatness. The X1 Carbon has been one of our favourite ultraportables since it was introduced back in 2012, and in many ways this fifth generation changes little. It’s slim, unapologetically black, packs supremely quick components and has a price to match its high-end ambitions. We could have said the same five years ago. At 16mm thin when closed and weighing just 1.13kg, this 14in laptop has lost a lot of weight compared to its predecessors, but it doesn’t come cheap. Prices start at ,380 for the model with an Intel Core i5-7200U processor, 8GB of RAM, 256GB SSD and Windows 10 Home, rising to ,220 for a Core i7-7600U CPU, 16GB of RAM, a 1TB SSD and Windows 10 Pro. Oddly, we were sent a custom model for review, with a Core i7-7500U, 16GB of RAM, a 256GB PCI-E SSD and Windows 10 Pro – the closest retail spec available is ,554, and is identical save for having 8GB of RAM instead. 94% Need a laptop for work? This Lenovo ThinkPad is an almost perfect choice. Personally? That’s not me. There are maybe two times a month that I will flip a 2-in-1 around to be a tablet, and I almost never touch the screen. (I also don’t go in for fancy 3- and 4-finger gestures. Change frightens me.) The X1 Carbon isn’t a rebuke of those other laptops—this is still Lenovo after all—but it’s a stunning example of just how fantastic it can be when a company keeps things simple and executes to the best of its ability. Lenovo's ThinkPad X1 Carbon has always been a very good Ultrabook and regular improvements over the years have combined to ensure that the fifth-generation model is the best yet. The ThinkPad X1 Carbon is a suited and booted style laptop with everything a classy globe-trotter needs. It's slim, tough, ultra-light, powerful and lasts an age between charges. Lenovo's ThinkPad X1 Carbon continues to impress. Smaller and lighter than last year's model, it packs in solid components and plenty of ports and connectors -- an object lesson for vendors who try to get away with providing the bare minimum. I don’t say this lightly: the Lenovo ThinkPad X1 Carbon is the best Ultrabook that you can purchase. It’s certainly the best Ultrabook I’ve come across since I reviewed the ThinkPad X1 Carbon 2016 around this time a year ago, and I was a pretty big fan of that one as well. If you’re a fan of any (or all) of the past X1 Carbon laptops, you’ll love the 5th-generation update. This model has an 8-percent smaller footprint over the previous model, is lighter and thinner than just about any other ultrabook on the market, and it offers (almost) all of the ports and connectivity options a user could need. Thunderbolt 3 inclusion is a welcomed addition to the model, as is fast charging and the exceptional battery life. As long as you’re not dead-set on needing a regular SD card slot, the X1 Carbon would surely meet your (ultrabook) needs. The latest iteration of the Lenovo X1 Carbon is easy to carry everywhere, it's sleek enough to show off, it'll last all day (and then some), and it has the power to motor through office and multimedia tasks easily. In addition, the screen is brilliant, and the keyboard is top-notch. It's about $300 more expensive than the Lenovo ThinkPad X260, another favorite, but that extra cost gets you a thinner, lighter, and more powerful laptop, and adds forward-thinking features, like two USB-C/Thunderbolt 3 ports and two USB 3.0 ports, to the mix. It's our top pick for business ultraportables. 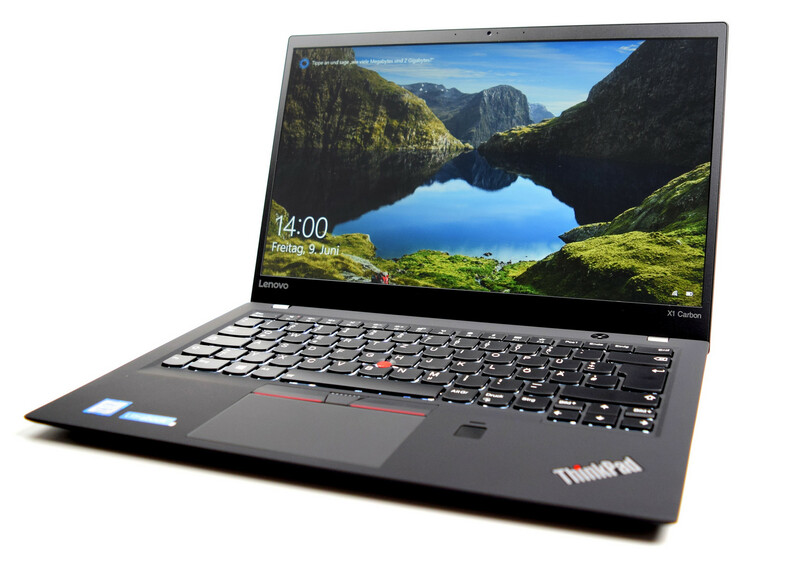 From its epic battery life and snappy keyboard to its luxurious, soft-touch chassis and strong performance, there are a lot of things to love about the 2017 edition of the ThinkPad X1 Carbon. Regardless, going into a decision to pick up the 2017 ThinkPad X1 Carbon with these caveats in mind, we think most users will love this new Lenovo laptop for its great performance, excellent battery life, superb usability, and portability. Lenovo also continues to deliver the best laptop keyboard designs in the business, in our humble opinion. They're a refreshing, professional-grade departure from the all-too common and often uncomfortable chiclet style keyboard found on so many machines. The ThinkPad name has always meant "business," but also for the mainstream user that wants a well-built, high performance premium ultrabook, you can't go wrong with the new 5th generation Lenovo ThinkPad X1 Carbon. Companheiro empresarial leve! Recentemente testamos o ThinkPad X1 Carbon. Agora testamos uma versão levemente afinada, baseada em Intel Core i5, e podemos lhe dizer se isto é uma vantagem, em comparação com o modelo quase igual, baseado no Intel Core i7. Couple that great performance with one of the best laptop keyboards in the business, a gorgeous 14-inch WQHD OLED panel, a few nice chassis refinements, and better battery life and you have a HotHardware Editor's Choice product. Starting at $1682, but listing for $2429 as tested with its OLED display, faster CPU, 512GB SSD, and 16GB of RAM, it's not cheap but still is priced competitively to other premium offerings that don't have the OLED options. You can also find some pretty good promos out there right now on the machine; we found our test config on Amazon for a lot less. Regardless, congrats to Lenovo for making one of our current favorite ultrabook platforms even better. SoC baseado em Kaby-Lake com dois núcleos de CPU com velocidades de 2,8 a 3,9 GHz, HyperThreading e produzidos com um processo de 14nm melhorado. Integra uma HD Graphics 620 com velocidade de 300 - 1150 MHz e é produzido em um processo melhorado de 14nm. 87.6%: Esta é uma boa avaliação acima da média. Porém não esqueça que 10-15% de todos os modelos de portáteis obtêm uma melhor avaliação.>> Mais informação pode ser encontrada na nossa Laptop Guia da Compra.